Lock in a great price for Kow's Inn - rated 8.7 by recent guests. Very comfortable room. Large,exceedingly clean. Helpful - very - staff. Recently updated, modern and good sized rooms. Clean and comfortable. Staff were friendly and helpful. Great rate for breakfast at $3.99. Good view from Restaurant. Gas station close by. Drive to ferry approx. 7 mins. Will be back again. Very pleased with the size of the room & the cleanliness! The staff were very efficient but we did find the restaurant to be quite pricey, especially for breakfast so we went elsewhere for our morning meal when we left the hotel. 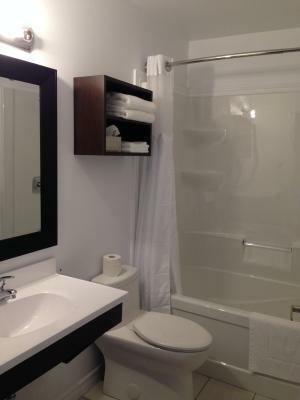 Very clean , freshly renovated large room with very large bathroom. 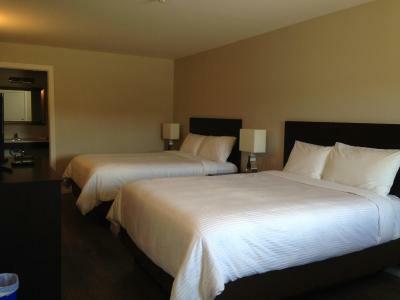 Comfortable beds with fresh clean bedding and good mattress. 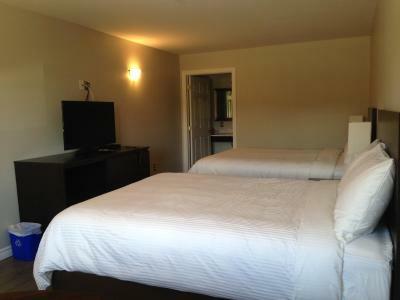 Smart tv and fridge in room as well as complimentary water. The restaurant serves tasty and fresh food at an amazing price point ( no tourist rip off happening here). The motel is located directly at the highway and there are no sidewalks or trails which was the only downside for us as we were hoping to take our baby for a walk. I had a very late arrival time and they were super accommodating. 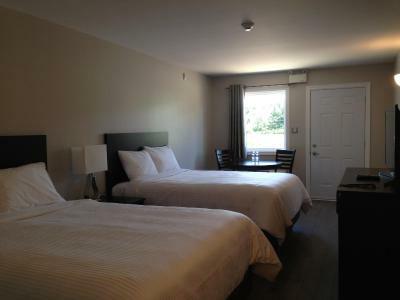 The room was newly renovated, sparkling clean and comfortable. 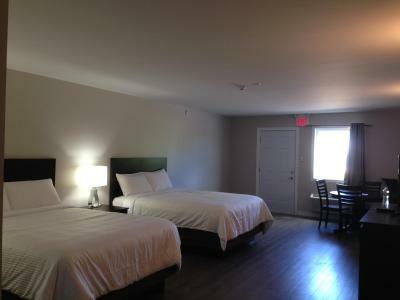 Nice new, very spacious rooms equipped with a good-sized mini fridge and very large TV. Beds were really comfortable and everything was super clean. The staff were so friendly and helpful. Location was great. Very close to North Sydney and not far from the Cabot Trail. We enjoyed 3 meals in the adjoining restaurant which was handy. We would recommend staying here! The nicest place I have ever stayed. My kids wanted to move in!!! 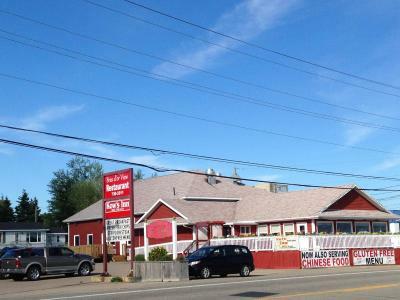 KOW'S INN is conveniently located on highway 105, just 5 minutes' drive from the Marine Atlantic ferry terminal in North Sydney. The property overlooks Bras D'or Lake. 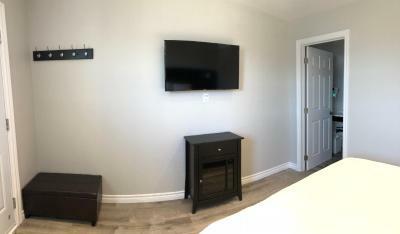 Guest rooms are equipped with a 42" smart TV, individually controlled heating and cooling, a mini fridge and free WiFi. Each bed boasts a pillow-top, individual coil spring mattress. The bathrooms are private. 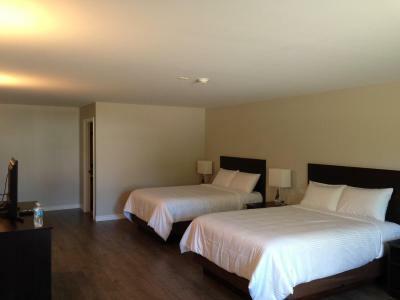 For added convenience, each room has a private entrance with drive-up access. 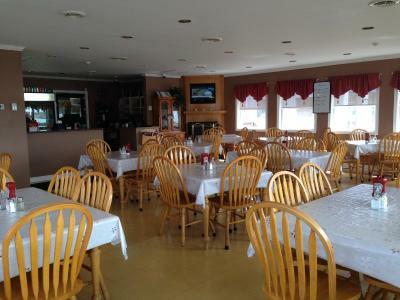 KOW'S INN has an on-site restaurant, open for breakfast, lunch, and dinner with a wide variety of gluten free options. This non-smoking property is 100% wheelchair accessible. On-site parking is included at no additional cost. 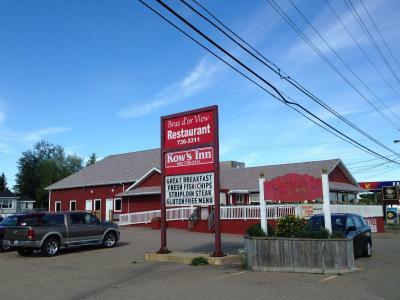 KOW'S INN is 15 minutes' drive from the Cabot Trail. 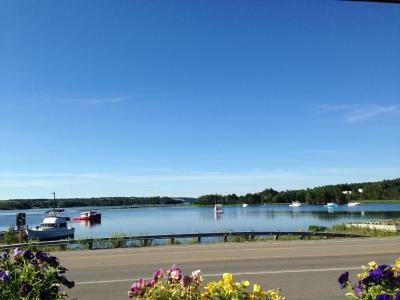 The popular village of Baddeck is 31.1 miles away. 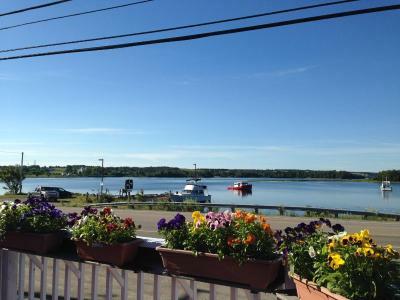 This property also has one of the best-rated locations in Bras D'or! Guests are happier about it compared to other properties in the area. 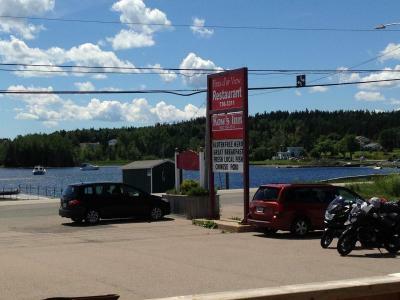 This property is also rated for the best value in Bras D'or! Guests are getting more for their money when compared to other properties in this city. Kow's Inn has been welcoming Booking.com guests since 4 Aug 2016. When would you like to stay at Kow's Inn? 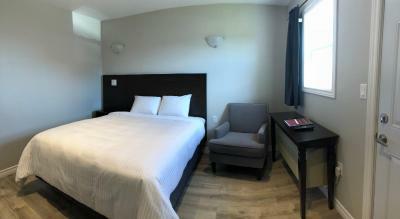 This air-conditioned room includes a 42" smart TV, individually controlled heating and cooling, a mini fridge and free WiFi. The bathroom contains a hairdryer. 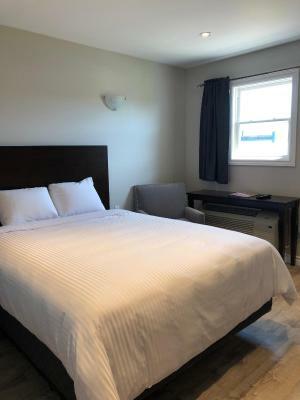 This brand new property is located in front of Bras D'or lake off highway 105, we are 5 Minutes drive from Marine Atlantic Terminal, 15 minutes drive to Cabot Trail, and twenty minutes to Baddeck. Every bed in our rooms are pillow top individual coil spring mattress to ensure our guest has good night of sleep. 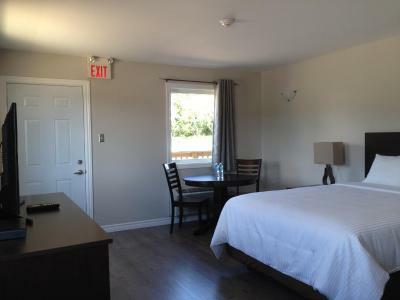 Also each room equips with 42 inch smart TV, individual heating and cooling unit.free WiFi, mini Fridge, hair dryer, private bathroom and private entrance with parking at the door. On Site restaurant open for breakfast, lunch, and supper with wide variety of gluten free options. 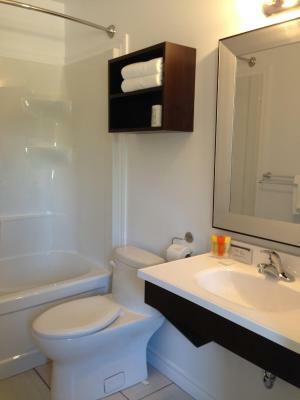 The entire property is wheelchair accessible. Late check in is available please notify us via internet. House rules Kow's Inn takes special requests - add in the next step! Bankcard Kow&#39;s Inn accepts these cards and reserves the right to temporarily hold an amount prior to arrival. Kow's Inn accepts these cards and reserves the right to temporarily hold an amount prior to arrival. It was so clean and fresh! There wasn't a heater in the bathroom unless I miss it! Everything was fine.All the amenities were provided.Nice towels.Very comfortable bed. However, value for money, it seemed very expensive for what it was with no breakfast included and not the best location. The walls were thin so we were worried at first but luckily our neighbours were no problem. The actual bedroom and facilities were great (large Netflix-included TV, a fridge etc.). It was comfortable and welcoming - the hosts were very friendly. I think, had we not stayed at many other hotels/motels on our trip, it would have seemed excellent, but it wasn't quite as nice as other cheaper places on our trip (this was one of our priciest!). Location was on the highway but the sound of traffic did not disturb us. It was the most expensive of the rooms we booked on our get-away and it didn't have a free breakfast or an in-room coffee maker (which we knew beforehand) but had booked mostly for the view and we thought location. ie in the picture it looked like it was beside a pretty lake and it was but there was a busy highway between us and the lake. 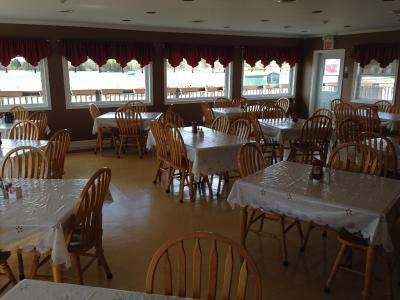 The rooms are located at the back of the restaurant with not even a glimpse of the lake. We looked out on a parking lot and big propane tank. No closets. Sign not lit at night on highway. 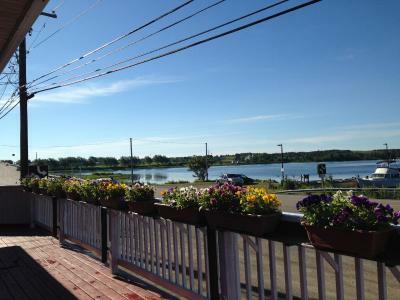 Very quiet safe location with a beautiful view of the harbor! All of the windows in the room are beside a walkway for other guests...so if you want privacy you have to keep the curtains closed. The Chinese food...really bad. One guest chose to sit outside our room and smoke...not good. The room was spacious and maintained extremely well. The bed was fantastic, and the bedding very lovely. 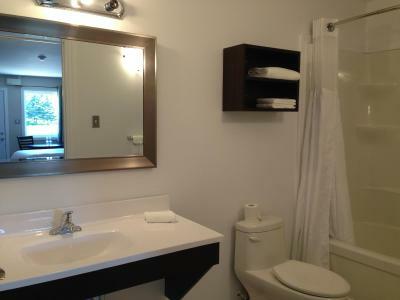 The bathroom and towels etc. were just great...spotless, beautifully folded etc. Beyond expectations. This accommodation really does offer value for money. The manager offered free coffee in the morning in the restaurant which was nice. The Chinese food special was very poor, though. Avoid that. Despite its awkward location, right next to the road, there were many compensations and I would not hesitate to recommend this accommodation. There were no other real issues other than the restaurant prices. No sidewalk or trail nearby . But that isn’t really something you can fault the motel for. The wifi didn't work in our room. We had to go to the restaurant in order to get it.